The 1997 silhouette receives a premium KITH twist. Ronnie Fieg recently teased his spin on the adidas Consortium FeetYouWear Salvation 97, and now, the KITH founder has blessed us with another colorway and an official release date. Seen alongside the aforementioned “White/Tennis Green/Fluorescent Yellow” S-97 is a pair of “White/Burgundy/Peach” sneakers, constructed from mesh and leather panelling. The pair stems from the 1997 adidas EQT line that celebrated the Three Stripes’ FYW technology, replicated in today’s slimline version of the OG silhouette. The S-97 features reflective hits throughout, the iconic FYW Freddie mascot on the sole unit and an adapted “R/F” version on the insoles, as well as embroidered KITH branding on the tongue. The shoes are finished with adiPRENE and EVA technology, and both Ronnie Fieg collaborative pairs will be hitting shelves on March 18 as part as KITH’s weekly Monday Program. 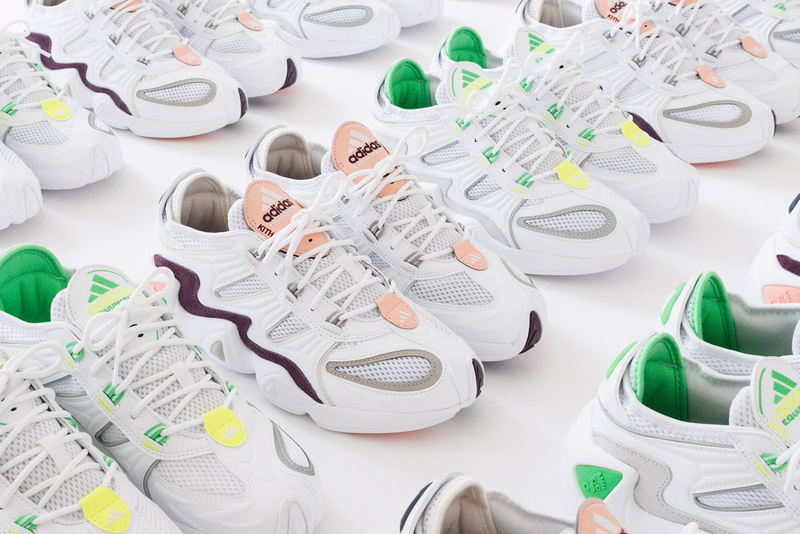 For more chunky collaborative adidas sneakers, take a look at the barbershop-inspired atmos Yung-1. Enlisting the support of rising sports stars. With Manchester City coming up against Tottenham. Drawing inspiration from the now-infamous air unit.